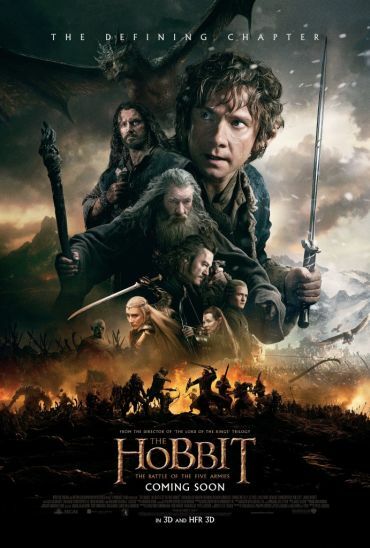 It's basically been known for 3 years that the last film of the Hobbit trilogy would also get an extended version once it was done in cinemas and had its first run on DVD and Blu-ray. For some time, an expected addition of nearly 30 minutes could be reckoned with but judging from the database of the German ratings board FSK, the final installment will only be prolonged by 20 minutes (runtime: 163:56 minutes). However, those additional scenes seem to up the ante quite a bit. At least that is what the MPAA seems to think. The US ratings board has given all films and all versions of those movies a PG-13 rating but that lucky streak has ended with extended version for The Battle of the Five Armies as it surprisinly received the "R" (for some violence). Peter Jackson himself hinted that this might be in the realm of possibilities when he told DailyBeast prior to the 3rd film's theatrical release that censorship was applied in order to secure the PG-13 rating. What would you have done if you had the R rating? Oh all sorts of great things. I will tell you what, you wait for the extended cut of this film. There are a few Orc killings that we actually got knocked back. Because when we submitted this to the MPAA we got an R. So what you’re seeing is the result of heavy editing to even just get the PG-13. But there will be a little bit of Orc killing to be seen in the extended cut. The "R" rating is a clear indication that the battle scenes will be more violent - by how much will become clear once we get the chance to compare the versions but considering that the fantasy action genre is mostly being rated with a lot of tolerance, it is at least a remarkable sidenote. We'll all know more in November 2015 when the extended version can be expected to hit the shelves worldwide.